I've tried my best not to ask for help, but I'm stuck, even after I learned a bit of JS, MomentJS and Client Side Rendering on SP. 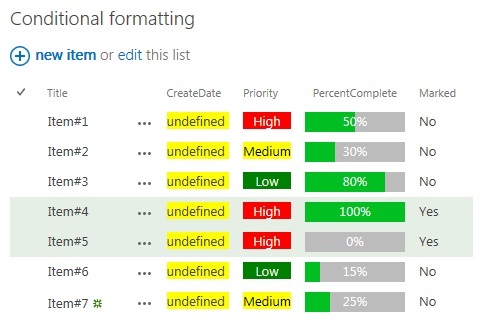 The code below returns undefined in date column. If you know why, please let me know. // Define your required fields and functions to call in each case. Everything else works fine, as you can see below on the screenshot. It's just the dates I'm struggling with. OK, thanks to Danny, I finally got it sorted. I hope. Below is the working code; ctx.CurrentItem.ColumnName reference had to be changed to the internal name b05o, some tweaking here and there..
...and here's the result and working date formatting. 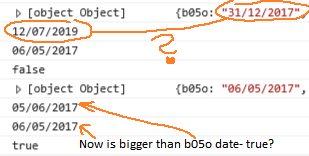 is displayed as true in debugger. Possibly not a big deal, but I'm worried that something is still nor right and it might cause issues in future. Danny showed me great and simple way for authoring the views live, but date 31/12/2017 still seems to be causing issues. 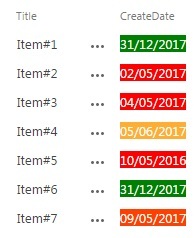 It returns invalid date, probably because 12/31/2017 is invalid. Good, you found the issue with the internal name yourself, that is always the best way to make learning stick. avoid creating new List Fields with that "easy" SharePoint UI, that's how you get those stupid weird internal names. Not the answer you're looking for? Browse other questions tagged date ctx date-format or ask your own question. 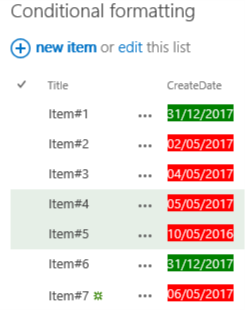 How to change date format to dd-mm-yyyy in SharePoint 2013?